SpaFinder has created an iPhone app that allows you to find nearby spas and treatment deals, check the real-time availability of appointments, and book a reservation instantly. 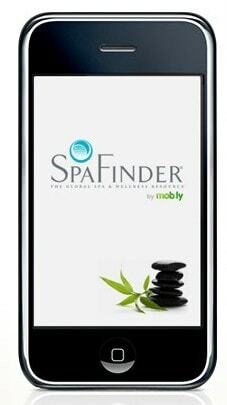 It is available from the app store at http://www.spafinder.com/iphone. For readers traveling on vacation to a new or unfamiliar city, the app uses the iPhone’s GPS features to help them easily find a nearby spa and confirm an appointment, including providing deals, map and directions. And, for anyone looking to get the most out of their summer while at home, the app can be a ticket to an afternoon of relaxation, a jumpstart for their wellness regimen, or a chance to achieve a healthy summer glow with a last-minute facial or body wrap.